We will fly as a group just after midnight Dubai time so we arrive early in Kigali where we will be met by our ground team at the airport. Our journey into the history and culture of the country begins immediately. We will have a relaxed and incredible breakfast at Hotel MIlles Collines, also known as Hotel Rwanda, the very same hotel that served as a hideout for over 300 people in the genocide, and is featured in the movie. After breakfast, we will visit the Genocide museum, a must for everyone who comes to Rwanda. Learning about Rwanda’s history as troubling as it is, makes the next few days that you will spend here in Rwanda all the more impressive. After this we will take a bus ride to Ruhengeri where we will be able to check in and relax at the hotel. After a brief rest we will be given a briefing of the trip, as well as getting to explore the nearby heritage village before we have dinner and then sleep at the hotel. Today will be an early wakeup! 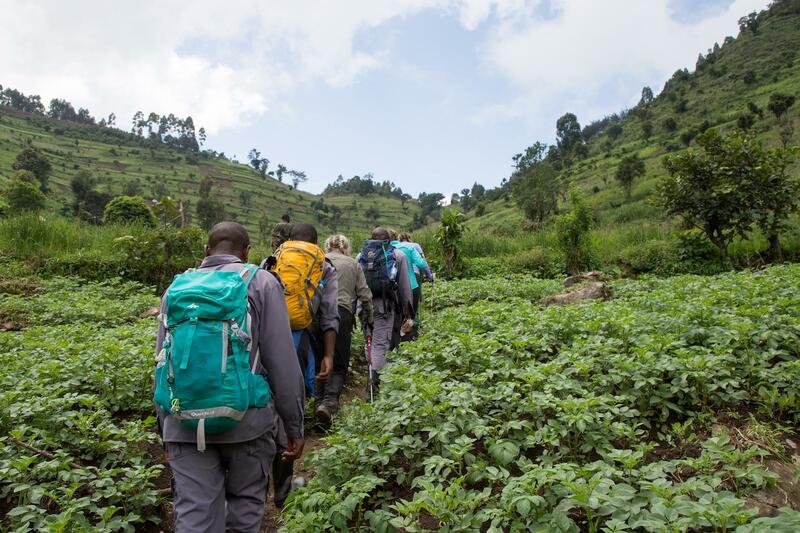 You’ll have the option for a very challenging hike up the Bisoke Volcano, OR an easier and shorter option, but still hard, up to the Diane Fossey Memorial. You will be briefed on these options to ensure you are ready for the hike. The hike up to the Volcano will take around 6-7 hours and the hike to the Diane Fossey Memorial will take around 4 hours. After trekking we’ll then head back to our hotel to relax. 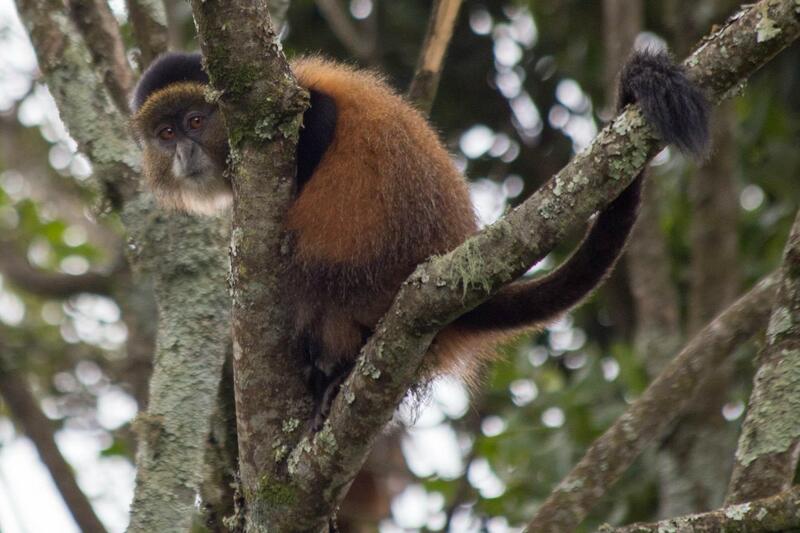 Today we will head back to the Volcanoes National park to see the Golden Monkeys in their natural habitat. The monkeys are small and friendly they won’t come close to you or steal your camera, but they will go about their business while you are in their midst. Its an interesting way to experience the animals in this part of the rainforest, and the rangers are amazing in their ability to educate people in the habitat and environment of these sweet creatures. 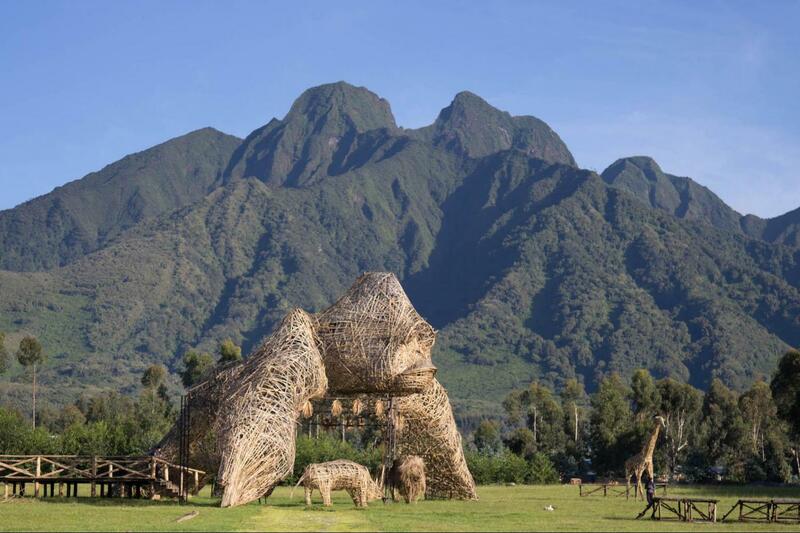 The monkeys will take just a few hours for us to visit, and then we will head back to the hotel for lunch before an afternoon visit to the Musanze Caves. The evening will be watching The Gorillas in the Mist, a must for visitors to the park, and an exciting moment when you realize that the scenery in the movie is exactly where you have just been! Today is an educational day where we will learn about the work that is being done to save the gorillas and help the humans. 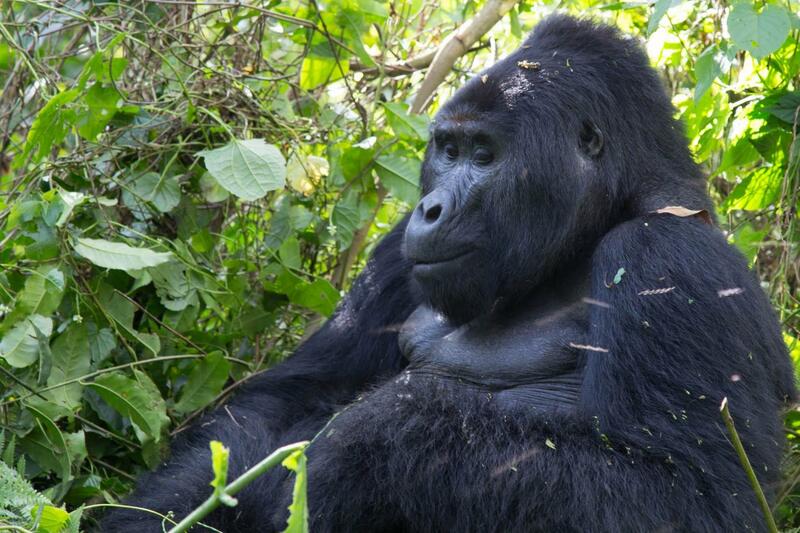 We will learn about how Diane Fossey’s legacy has, in short, saved these incredible animals from extinction. After lunch we drive to Cyinka boarder cross proceed to Kisoro town. 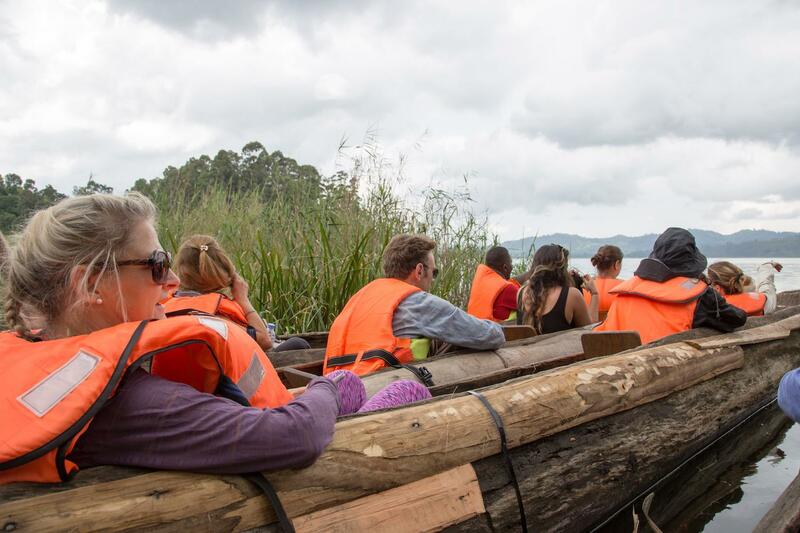 We will board our traditional canoes and be paddled across Lake Mutanda to see the many species of birds along the lake’s edge. 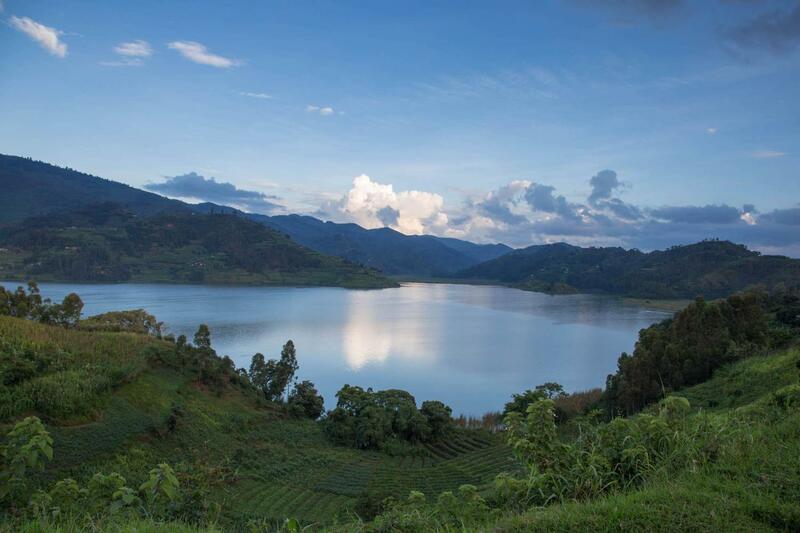 Then we will drive up to the Nkuringo.. Dinner and overnight at Nkuringo Gorilla camp. The morning will be a forest walk that helps the locals. Today we will divide into our groups and start to meet with the children of the community from 4 schools in the Nkuringo area. This is a densely populated area with over 10,000 people living in villages up a remote mountain road. 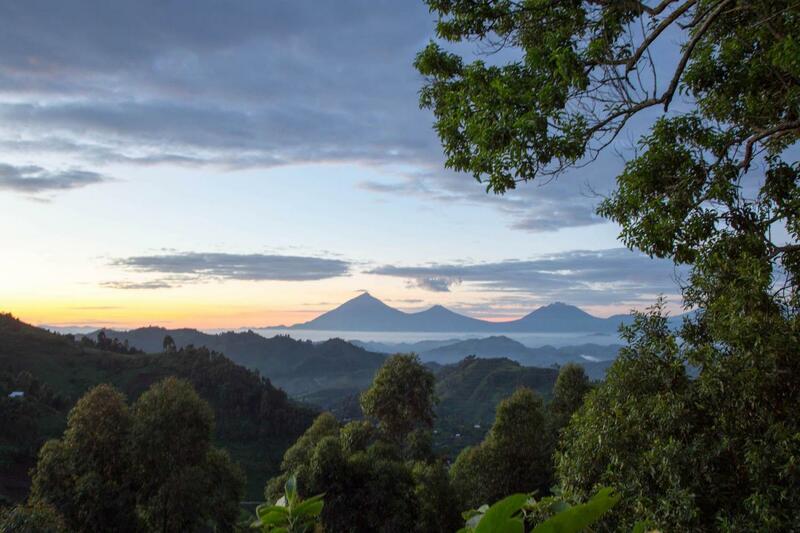 This is part of the Bwindi Impenetrable Forest National Park, which means that it is carefully and fastidiously patrolled and controlled by Rangers from the Park service. 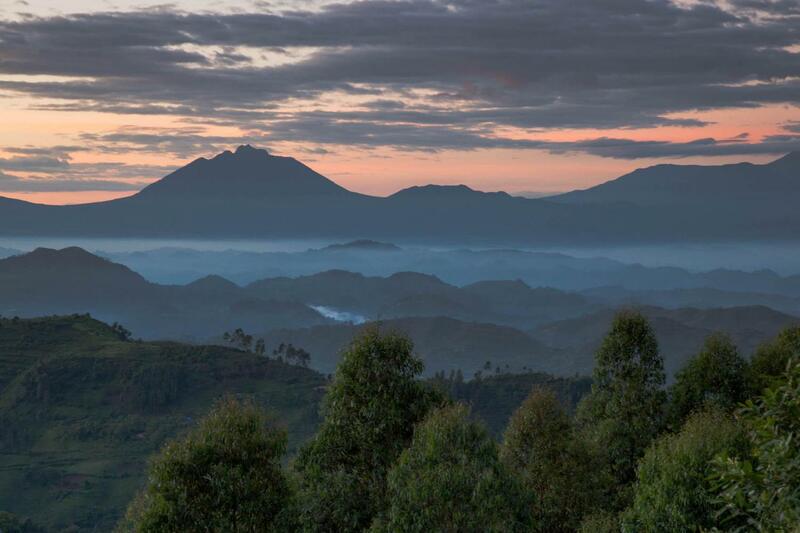 Tourists visit the Bwindi and stay in the hotels mostly in the southern edge of the park, rather than the top of the Nkurinigo section, which means that though the locals still benefit from gorilla tourism, they are still a population neglected and in need. There are several projects that students can engage in here, detailed in the appendix. This will be the 2nd day for the students to engage with the community and further extend their efforts to make a small but lasting difference in the community. We will engage in further projects and the students will be able to fully plan this with our help before departing on the trip. Time for the big event! An early morning wake up means that you will be able to see an incredible sunrise over the mountains. We attend mandatory briefing at park headquarters by 8:00am before you embark on the memorable adventure in the forest. The time this takes depends on the locations of the gorillas. 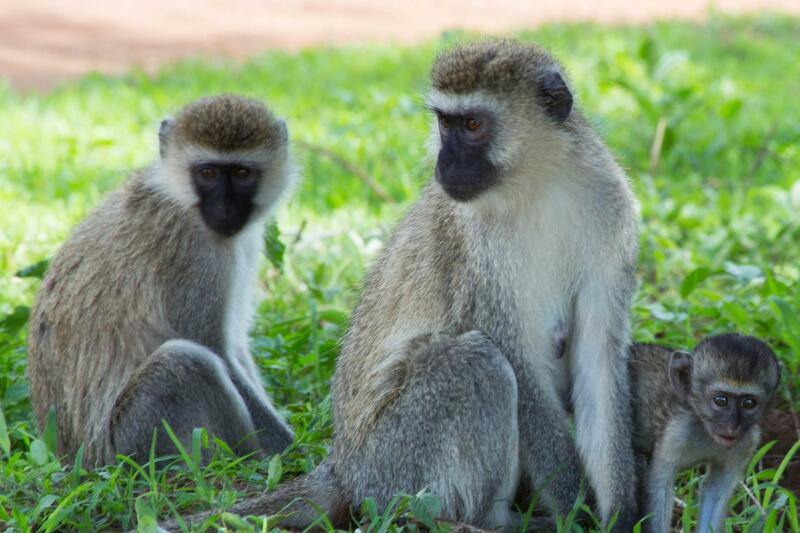 Dinner and overnight will be at the Nkuringo Gorilla camp. We will leave for Kigali by 9 am. We will Stop for lunch at Diane Fossey’s favourite hotel while she was in Rwanda. And afternoon tour of the city places to visit include marketplaces and cultural centers, in addition to some shopping at local stalls and markets. In the evening we will transfer you to the airport for your flight home.